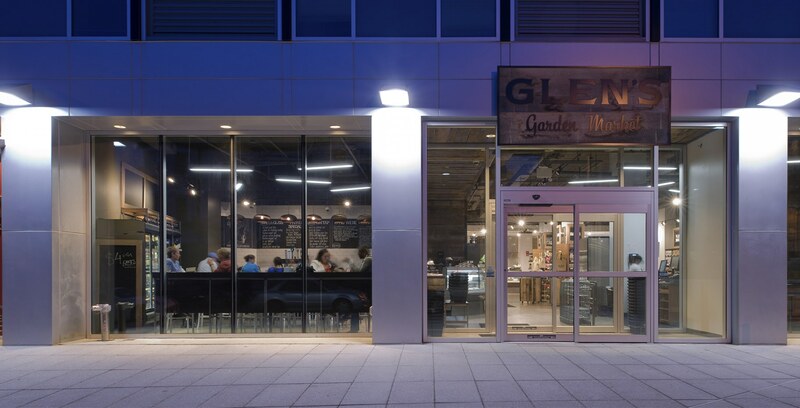 Glen’s Garden Market is a grocery store in Dupont Circle in Washington, DC that specializes in locally sourced foods and products. 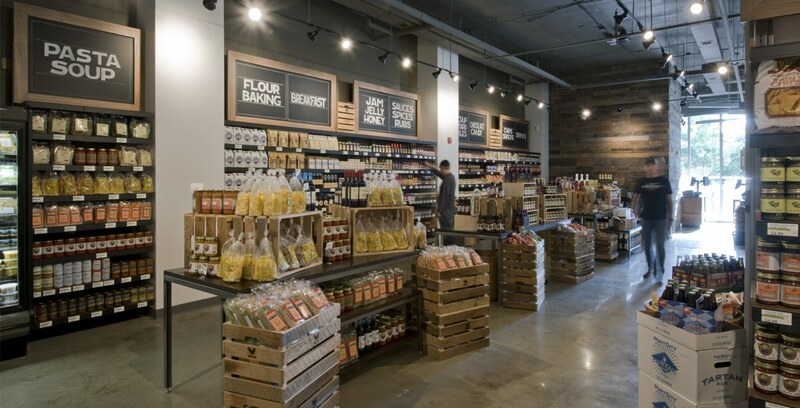 The store, which opened in April, offers about 4,800 square feet of retail space. 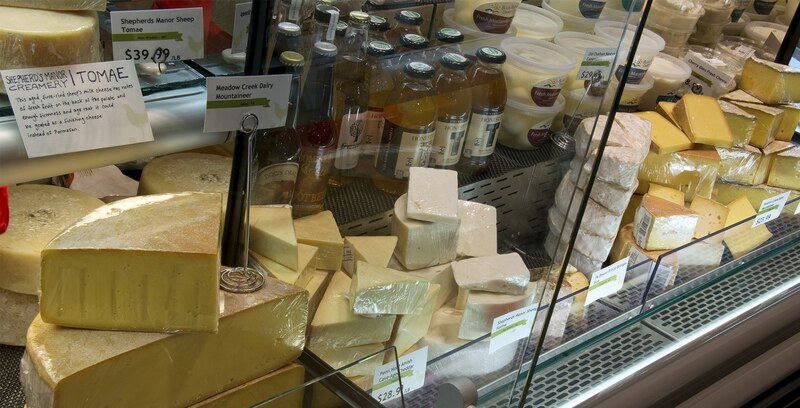 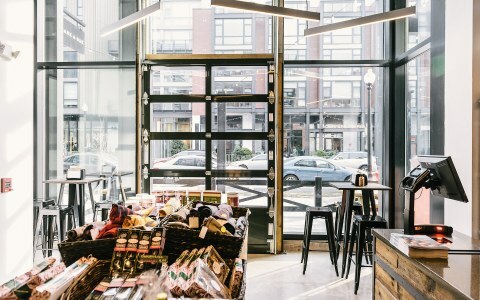 Inside, shoppers can grab coffee from a coffee bar, taste a locally produced beer or wine, watch cooking demos, and of course, peruse through the aisles for food. 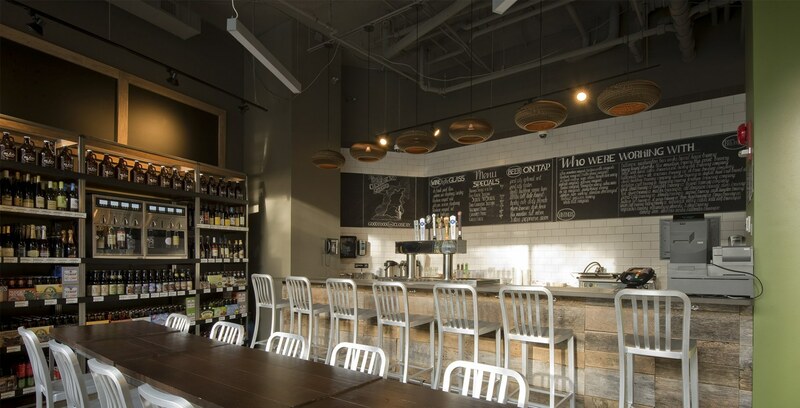 In the cafe, there is seating at the bar, a communal table, and a drink rail. 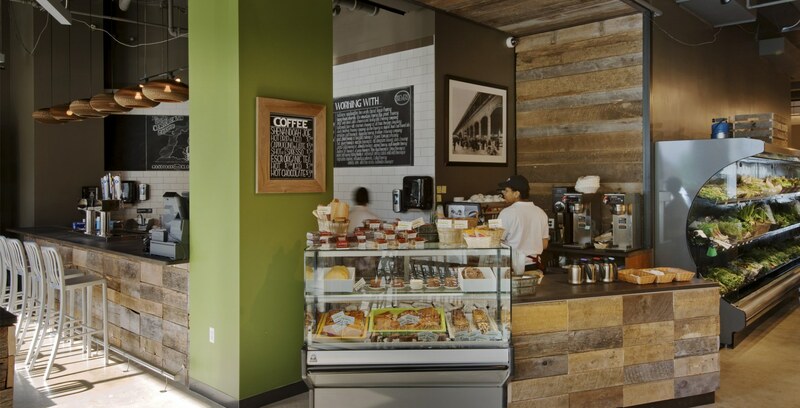 The coffee bar serves up not only cups of Joe, but also, pastries in the afternoon. 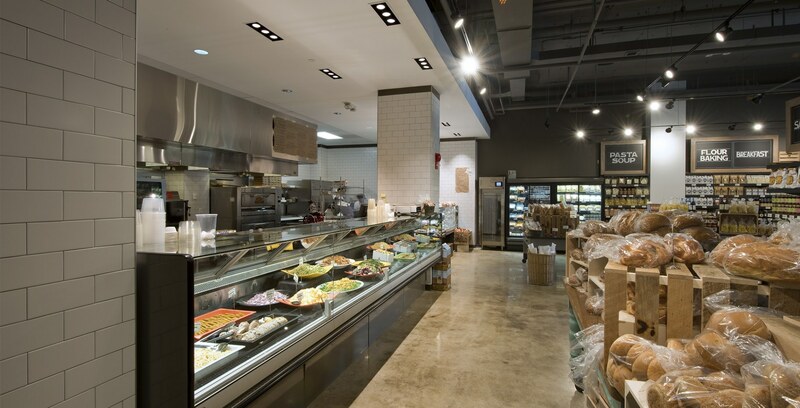 Glen’s Garden Market offers a comfortable grocery environment. 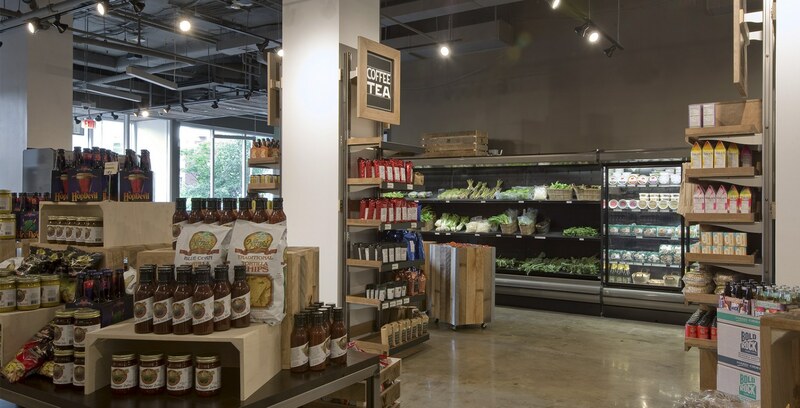 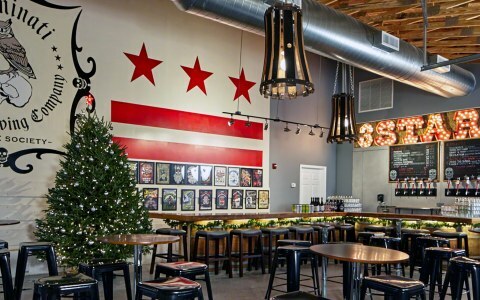 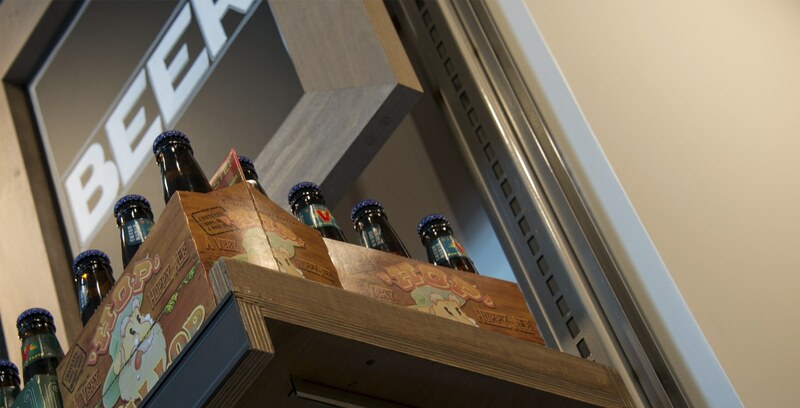 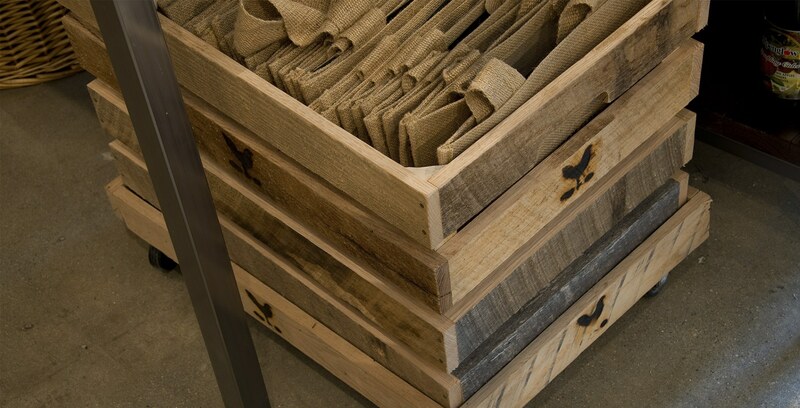 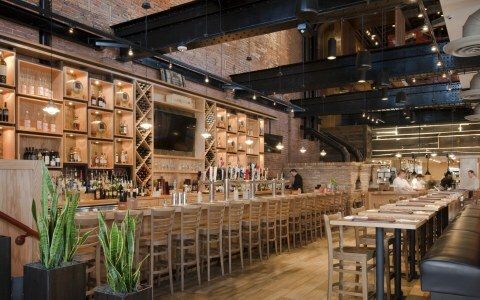 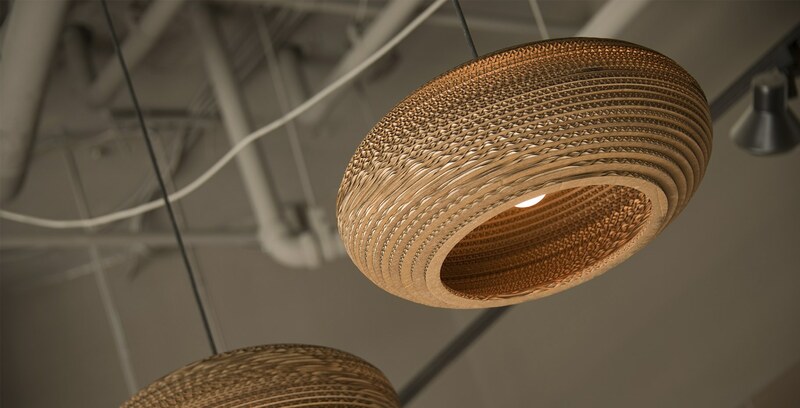 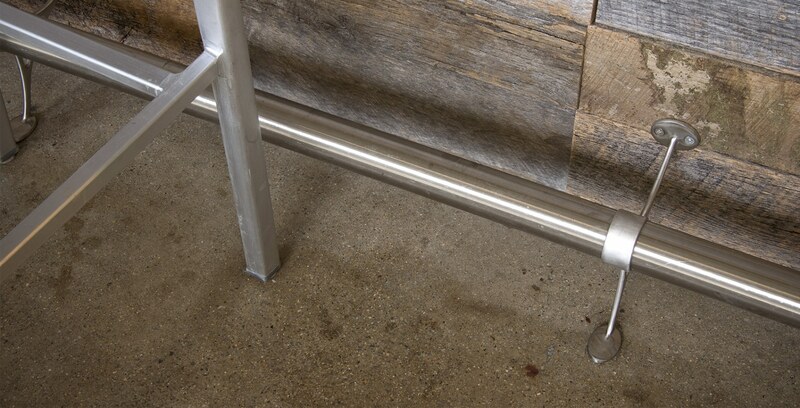 Design elements include natural wood shelving, warm wood tones, LED lighting, an open kitchen so shoppers can get a glimpse at the food preparation, concrete flooring, reclaimed lumber found at the front of the bar in the cafe, and pops of “Glen’s Green” found throughout along with warm greys. 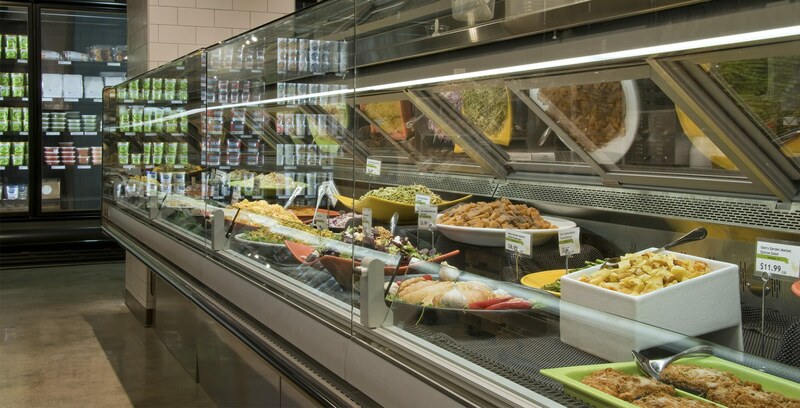 The concept and layout of the store emulates when one walks through an old school Italian market: an overflow of fruits and veggies showcased in baskets, beautiful cheeses, meats, small, urban carts and baskets to carry your food, etc. 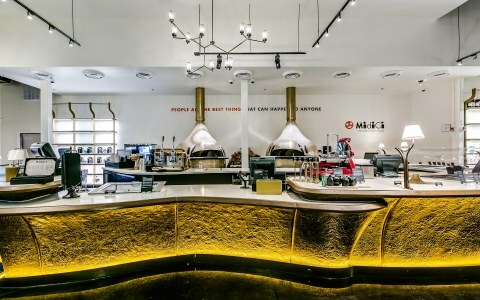 The design acts as a backdrop to the food.